Cagayan's in Centre Point, Bandar Utama is a restaurant famous for its Philippines cuisine, especially pork-based dishes. I've been there before. 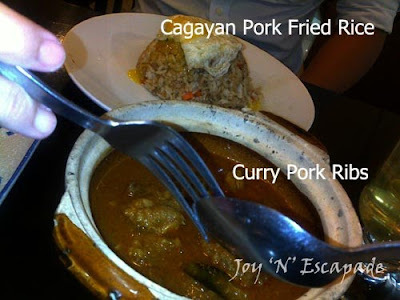 Windy, Naoko, Jason, and myself tried their set lunches, priced between RM6 & RM10. 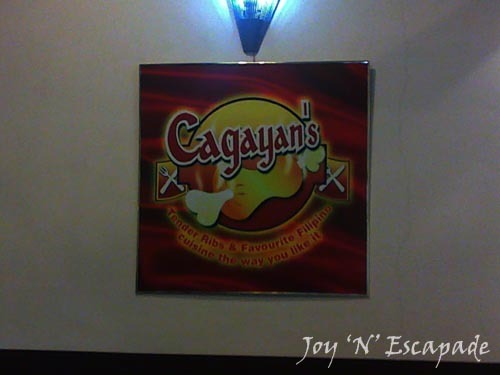 One set consists of a main dish, a drink, and a dessert. 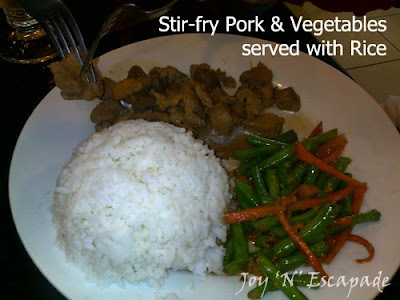 Windy's Stir-fry Pork & Vegetables, served with white rice is a decent dish. 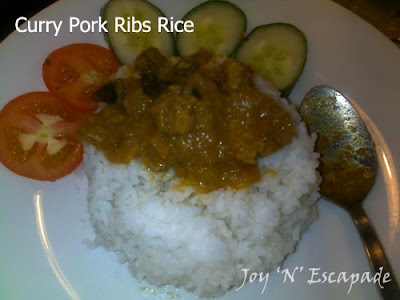 I choose Curry Pork Ribs Rice. Actually, the curry pork ribs comes in a claypot. I scooped some out and poured it on the rice for this photo. 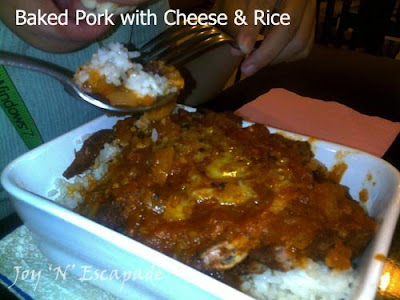 Naoko's Baked Pork with Cheese & Rice is what we voted as the best dish. Pork cutlets baked with cheese is sensational!